Are you looking for a trustworthy company to clean the upholstery in your Feasterville Trevose, Pennsylvania home? You've just found a local favorite. I Clean Carpet And So Much More LLC is proud to provide upholstery cleaning Feasterville Trevose. Regular upholstery cleaning will improve the air quality and beauty of your home or office. You deserve clean, stain free and odor free upholstery! Especially when it comes at a price you can afford. When lodged in dust combines with pet dander, food particles, or pollen, the result is an abrasive grit that can cause damage your fibers and make cleaning your Feasterville Trevose upholstery a necessity. I Clean Carpet And So Much More LLC can remove your upholstery cleaning headache and leave your rooms fresh and clean. I Clean Carpet And So Much More LLC recommends cleaning your upholstery at least once each year, 2-3 times yearly if you have small children, pets, do a lot of cooking, frequently use a fireplace or wood stove, or smoke in your home or business. Ask about our regular upholstery maintenance programs and learn how you can save money. 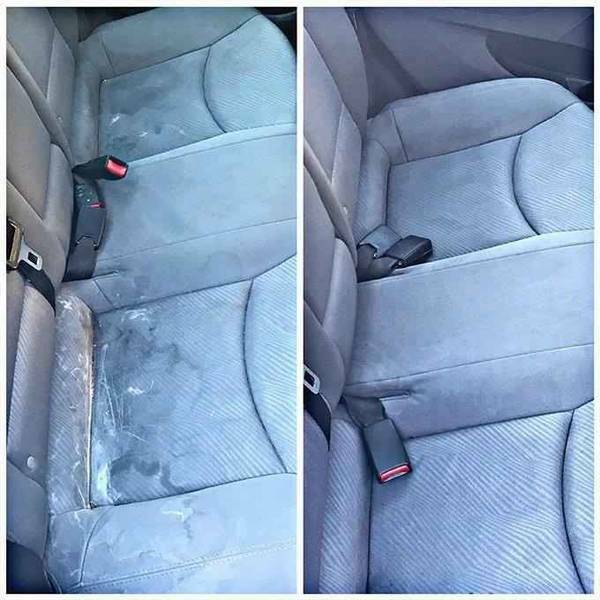 When it comes to fast, thorough upholstery cleaners in Feasterville Trevose, no one beats I Clean Carpet And So Much More LLC's trained experienced technicians and professional friendly upholstery cleaning service. Call today for a free quote or to schedule service (267) 495-5188.